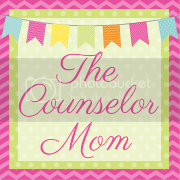 The Counselor Mom: Happy Birthday! Today is my sweet angel baby cutie pie's first birthday!! I am in such shock that it has been a year. I know all parents say the same thing, but I really am in shock. It went by way, way too fast. Everyone warned me it would and it sure did. Next thing you know she will be off to Kindergarten. :( Sigh. Just because I am going down memory lane and getting all nostalgic, my husband and I watched the birth video of our little baby last night. I had not seen it yet and it was the perfect time to watch it for the first time. It brought back so many memories and it was just so surreal. I was super glad our birthing nurse filmed it for us because she edited it really well and took it at all the right angles so it was not too embarrassing to watch. It was amazing to me to see how much our baby has changed but also how much some of her characteristics have stayed the same. My favorite part of her birth was being able to take a bath with her right after her delivery- a sweet bonding moment. What, did you think I was going to say the squatting her out at the bed post was my favorite? Not so much, that was by far the hardest part of the whole thing. Can you believe babies in 1 whole year go from being born, having a weak neck, to being able to hold their own necks up, then they learn to sit up and roll over, to crawling and beginning to walk with assistance? All in one year. Amazing. Happy first birthday little Luna! !